Check out our handout here. Ellis, N. C. (2003). ‘Constructions, chunking, and connectionism: The emergence of second language structure’. In C. Doughty & M. H. Long (Eds. ), Handbook of Second Language Acquisition (pp. 33–68). Oxford, UK: Blackwell. Ellis, N. C. (2012). “Formulaic language and second language acquisition: Zipf and the phrasal teddy bear”. Annual Review of Applied Linguistics, 32, 17-44. Simpson-Vlach, R., & Ellis, N. C. (2010). An Academic Formulas List (AFL). Applied Linguistics, 31, 487–512. Ellis, N. C., Römer, U. & O’Donnell, M. B. (2016). 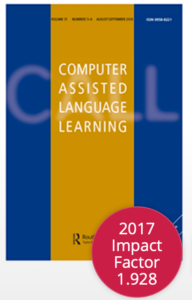 Usage-based Approaches to Language Acquisition and Processing: Cognitive and Corpus Investigations of Construction Grammar. Language Learning Monograph Series. Wiley-Blackwell. Larsen-Freeman, D. (2006). “The emergence of complexity, fluency, and accuracy in the oral and written production of five Chinese learners of English”. Applied Linguistics, 27(4), 590–619. Milton, J., & Meara, P. (1995). “How periods abroad affect vocabulary growth in a foreign language”. 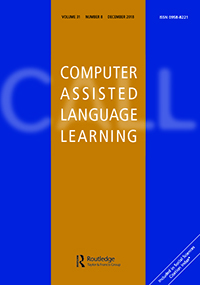 ITL Review of Applied Linguistics, (107–08), 17–34. Römer, U., O’Donnell, M. B., & Ellis, N. C. (2014). “Second language learner knowledge of verb–argument constructions: Effects of language transfer and typology”. The Modern Language Journal, 98(4), 952-975. Thewissen, J. (2013). “Capturing L2 accuracy developmental patterns: Insights from an error-tagged learner corpus”. The Modern Language Journal, 97(S1), 77–101.